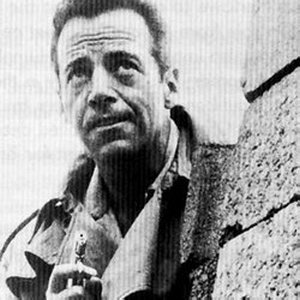 The Adventures of Philip Marlowe starring Gerald Mohr aired from 1948-50 and then returned in the Summer of 1951 and is one of the best radio detective shows of all time. Here are my ten favorites. Right click on each link to download if you’re curious about an episode. Marlowe is hired by three heirs to help them locate their inheritance. It’s a great character story and very noirish. William Conrad does a great job filling in with Mohr in a great story with a perfect pitch ending, and a superb performance by Conrad that makes me wish he had been a radio detective more often. Marlowe engages in a race against time on New Year’s Eve to find a missing fiancée before a dangerous escaped convict does. Another New Years Eve story. This one a quirky but well done tale of Marlowe searching for a missing house. Marlowe gets called to a house, only to find he was being used as an item on a scavenger hunt. This equates a light-hearted start that turns very serious when a body turns up. Marlowe investigates an apparent suicide of a has-been actress. It’s an engaging story with a solid ending. Marlowe lands right in the middle of a plot involving murder and blackmail. This is the only time the CBS series adapted an actual Marlowe story by Chandler, and it’s sad they didn’t do more. Marlowe investigates a strange case where for a woman who fears for the life of her daughter’s fiancé. It’s a very clever and imaginative tale that find Marlowe in a medieval castle (that’s been moved to California) and has a superb conclusion. Marlowe goes to Phoenix carrying papers and finds himself robbed, and thrown into a battle with robbers and murders in the small town of Lonesome, Arizona. 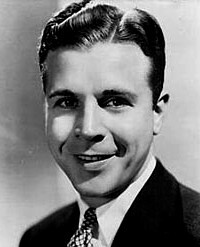 Throughout the series, Marlowe flirted with many women (and vice versa), but is the only episode where Marlowe truly falls in love, but he finds out the lady has a secret. Mohr is at his absolute best, particularly in the last few minutes, and the powerful final scene ends with a twist that hits you like a punch in the gut. Philip Marlowe investigates a missing woman and then gets caught in a murder surrounding stolen jewels. An elderly landlady hires Marlowe to investigate a strange sound in one of her tenants’ apartment.